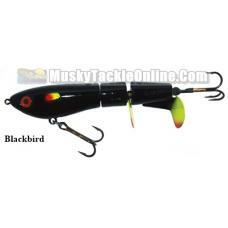 The new topwater terror "KLACK Bait" from Bigtooth Tackle shreds the water and triggers muskies to b..
Three blade pack which includes 3 rivets and 3 beads. 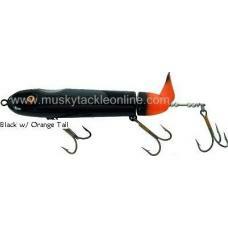 High quality buzz bait replacement blades for .. Already a legend! 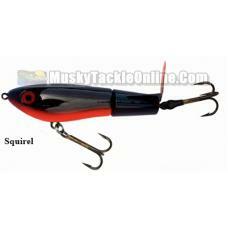 Many professional fishermen claim this to be the best surface lure ever to come al.. 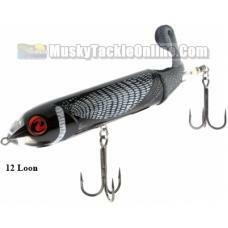 The most talked about Walk-The-Dog topwater to ever hit the market. 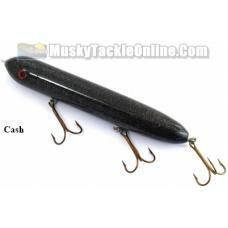 This bait flat out catches fish!.. The “Weagle” has created a sensation over the years. It’s an oversized “walk the dog” style bai..
New and improved Tin Heads for 2017! The Tin Head gets its name from its metal equipped head and..
New and improved Twisted Tin Heads in 2017! The Twisted Tin Head gets its name from its metal eq.. 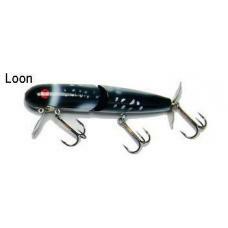 The Phantom Freak topwater lure is made in the U.S.A. of solid high impact plastic and stainles..
Viper Lures are are made of solid, high impact plastic specifically chosen for its wood like charact..
8" (plus tail), 5.25 oz. .. 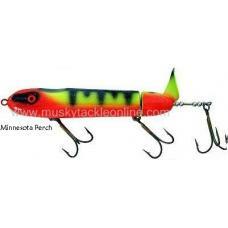 Designed by Chippewa Flowage muskie guide Ty Sennett, the Pacemaker can stand up to the most ferocio..
Wade's Custom Tackle, maker of the famous Wade's Wobbler, has several other baits as well. 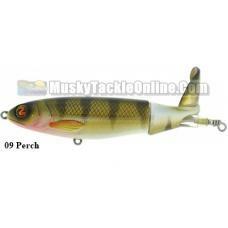 The Brutt..
Wade's Custom Tackle, maker of the famous Wade's Wobbler, has several other baits as well. The Critt..